Our ever alert and keen bird watchers have been out and about. 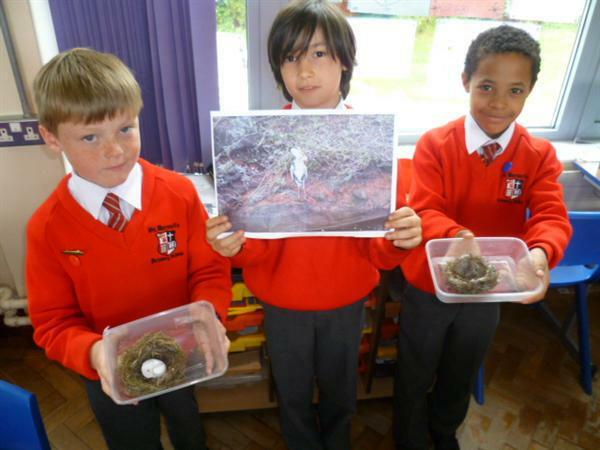 2 birds' nests ( one with an empty egg shell) were brought into class after they were found in the local parks. We also had an "eagle eyed!" photographer able to capture a bird with its dinner down by the Lagan Tow Path.